Taking the vehicle technology to the next level, Honda Civic is back with a bang! Regardless to mention, Honda Civic remained one of the best car series in the vehicle market and has gone through a number of generational transformations, making it one of the best car line living within affordability. The recent hatchback that is recently introduced in the Honda Civic car line is called “Honda Civic X or 10th gen” that has brought back much what the vehicle nerds asked for. The 10th generation of our Honda Civic represents the most aggressive and comprehensive redesign that has probably not been introduced in the Civics’ 43 years history. It features the edgy and sporty exterior with the exciting roomy interior. 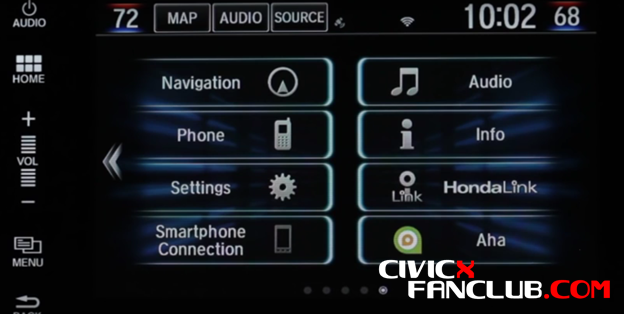 Not only this, the brand new Civic model also features with the Honda’s Connect infotainment and connectivity system, which offers enhanced intuitive operation and full smartphone integration, no matter either its iOS or Android. So, if you want to know about the Honda’s Connect infotainment and connectivity system and how to connect it with your phone, you have got to the right place. Read on to catch the complete setup guide and its specs. Honda never fails to surprise us with its extremely inspiring designs and layouts within its cars. Same goes with its connect car system that is placed in its recent hatchback – Honda Civic 10th generation. 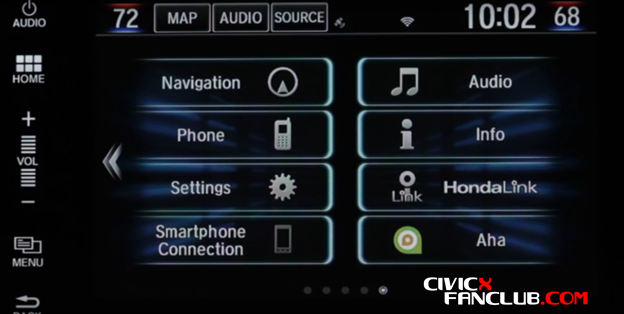 At a glance, the car connect system offers the big buttons and a touch screen, making it cool to check and convenient to use. 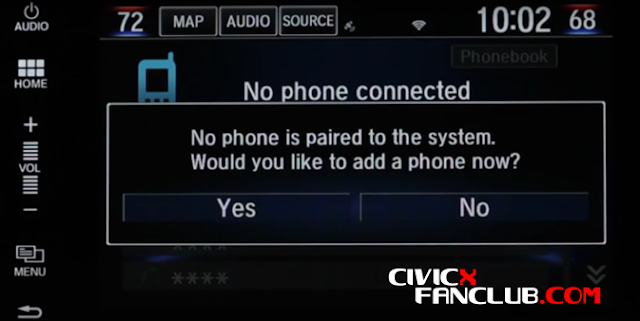 Just like smartphones, you can use Sat Nav of Honda Civics’ Connect Car system for seamless navigation. A radio is also there to accompany you when you are driving alone and want to listen to something new. 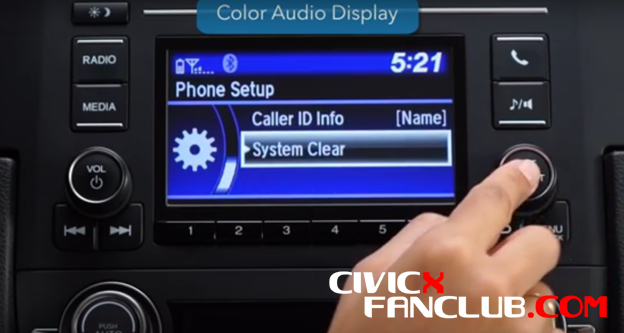 The second gen connect car system of Honda Civic features more accessible radio stations and convenient station switching. You can surf the internet by using its Wi-Fi option or to use a smartphone’s hotspot, once you have parked. Besides this, there comes the pre-installed calculator, miles to kilometer converter, CD option, mirrorlink thing and HDMI connection for the tech nerds as well. First of all, ensure that your smartphone is compatible with the Bluetooth system of the car. For this, visit handsfreelink.honda.com. Select “Yes” option to continue. Now, make sure to switch on the Bluetooth on your phone to make it discoverable n the connect system. Your device will appear on the display audio system of the vehicle. Select it to continue. After selecting the device on the screen, the system will then display a pairing code to pair up with your device. This pairing thing will need some time, so you need to be patient and wait for a bit. The pairing code would be shown on your phone. Accept the code to complete the pairing process. After the pairing process, your phone will be connected to the Bluetooth successfully and the system would automatically import the contents on the phonebook and call history as well. Now you can access anything from your phone you want ranging from contacts to your messages, from your music playlist to your device’s assistant. How to Delete Bluetooth History and Other Personal Data from the Connect Car System? 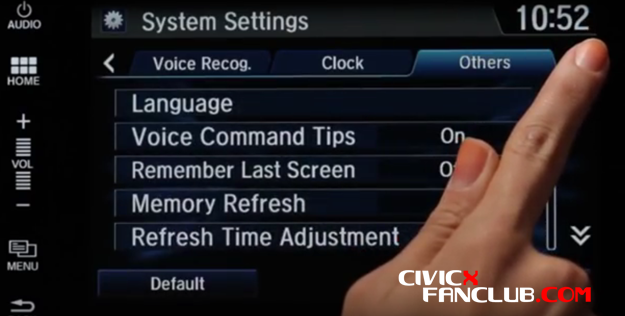 Head to Settings Option Displayed on the Main Screen of the System. You will see a number of options there. Select “System”. Out of three tabs, touch “Others” tab and choose “Factory Data Reset” option. Select the option designated as “System Clear” and choose yes. So you are done. 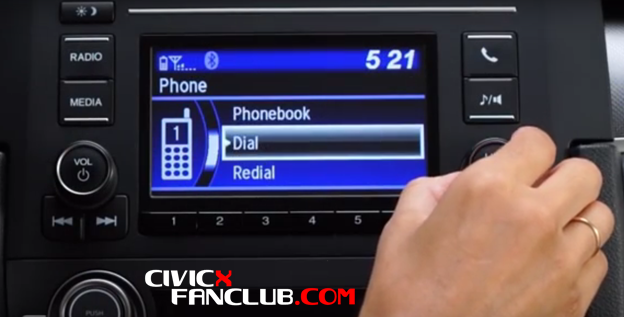 You can now a pro at Bluetooth system of your brand new Honda Civic 10th Generation. For more info and tips regarding the system and the hatchback, keep visiting us!